Click on the headings to visit one of our blogs on the topic. Building surveyors will know that most building surveys require visibility of the building’s roof to identify its condition and assess any defects. In most instances getting access to a roof can be tricky and often involves the erection of a scaffold, use of a cherry picker or ladders. Using a small drone to perform the survey can save time, money and reduce health and safety risks involved with surveying a roof and other tricky areas. Drones are increasingly being used for security applications. They are discrete, mobile CCTV systems that can be used as part of an overall security strategy. Drones can be used to cover large areas quickly and efficiently and can be used effectively at events where surveillance is necessary. In most environments, the people on the ground would be unaware of the drone overhead. Carrying out site inspections on a busy construction site can dangerous and complicated at times. The ability of a drone to carry out a visual inspection of high-risk areas can save time and reduce H&S risks. Drone footage can be recorded from the safety of the site cabin and then sent to project stakeholders in HD. Improvements in cameras and mapping systems have made drones well-suited to agricultural life. That’s mainly because they solve a perennial farming problem – how to get a good look at a field almost plant-by-plant. Drones offer the flexibility of attaching multiple sensors – visible light, infrared or thermal – to determine different features of a crop. These can be used to recognise things like weed types, disease pressures, plant stress, crop damage, nitrogen requirements and yield potential. Drones can also fly low enough to get a very detailed look at the crop. Drone video captivates us immediately, making it highly effective for marketers. Our minds are not accustomed to seeing images from these perspectives, so when we see drone video footage, it stops us dead in our tracks – and we watch. This undeniable fact is why marketers are so drawn to drone footage and estate agents may be in the best position to take advantage of this advanced technology to sell more properties and sell them faster by using drone videos and photographs. Forget any preconceptions you have of drones being toy planes for adults who refuse to grow up – drone wedding and event video and photography has been on the rise for quite some time now and it’s not exactly hard to see why. Thanks to the ever-changing world of technology, today’s drones can capture truly spectacular aerial wedding photographs that you’ll want to treasure forever. Using drones we can survey a quarry much more accurately and safely than using traditional means. We can provide accurate stockpile information, environmental impact planning and reporting, managing property and boundary mapping, health and safety planning, and blast planning. We can also inspect all of the buildings on site without anyone having to go up a ladder. Drones are increasingly being used in search and rescue scenarios. They are much cheaper to operate than helicopters and can cover large areas much more quickly than search teams. They can also be used to transfer medication or communications equipment to people who are cut off. 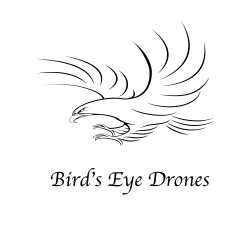 Bird’s Eye Drones Managing Director is fully qualified in both land and maritime SAR and will deploy to assist the emergency services on request and at no charge. Scaffold platforms for photographing archaeological digs have been used for decades but they are difficult and take time to erect. They are also inherently risky things to be climbing on and sometimes difficult to position without damaging the site. Drones can take aerial photos and video over large areas much more quickly and without the attendant risks to people and the site. Click below for our latest blogs giving you the answers to everything, you wanted to know about drones.